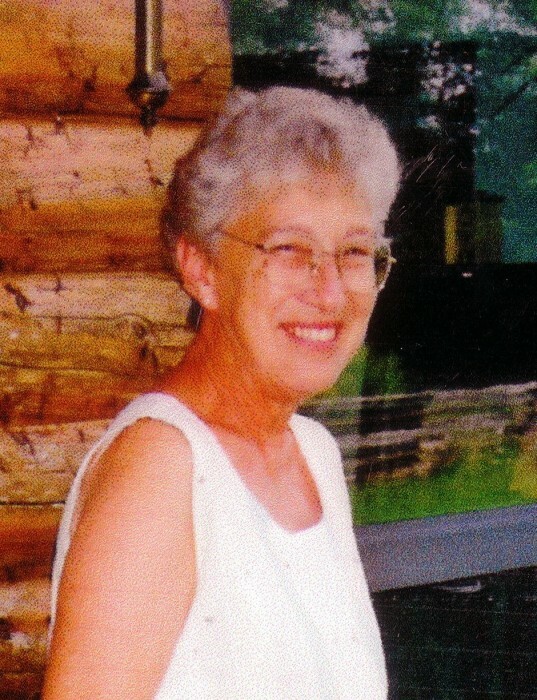 Peacefully returned to the Creator on Friday, February 26, 2016 in her 86th year at Frost Manor (Lindsay). She had a long and difficult struggle with Alzheimer's. Predeceased by husband Frank (1972), parents Art and Gladys Bratt and brother Donald. Devoted sister of Ruth Smith (Eaton). Loving mother of Martin, Michele, Paul, Christine, Catherine and David. Fondly remembered by sister-in-law Therese Stewart, daughters and sons-in-law, nieces and nephews. Grandma "gummi bear", sorely missed by her many grandchildren, great grandchildren, friends and neighbours, cats and sheep. All will miss her love and laughter, candy stash and awesome butter tarts. Many thanks to Frost Manor Staff for exceptional compassionate care of Marilyn in her last years. Special thanks to her steadfast Frost friends, Irene Jones, Susan Jones and Eunice Howe. Cremation has taken place. A family Celebration of Life and Interment at Holy Cross Cemetery to be held in the summer. If desired, a tree planting or donation to a charity of choice in Marilyn's name would be appreciated.